"Without Money & You ®, I would not have had the courage to open offices and retail outlets in Australia (we now have four there), Malaysia, Thailand, Hong Kong, and Japan. In business, it is not tasks, money, or products that make the biggest difference. It’s the people, and relationships. In Money & You ®, I learned a framework, and a technology that I apply and am constantly using every day." Discover the Wealth-Building Laws Of The World’s Most Successful Companies, Entrepreneurs and Investors To Smash Through Your Invisible Money Ceiling, Grow Your Company or Career & Set The Foundation To Build Kingdoms Of Wealth - Regardless of Whether You’re Already a Multi-Millionaire or Still Living Paycheck To Paycheck. If you’ve ever wished you could fully get access to and grasp the millionaire mindset once and for all, and join the ranks of the ultra-successful, this could be the most important message you ever read. I’d like to tell you about the 3.5 day seminar that thousands of the world’s most prominent entrepreneurs thank for their success. It’s the exact event that Robert & Kim Kiyosaki, Roger Hamilton, Dame DC Cordova & Jack Canfield and many other notable Graduates have benefitted from and used to create even greater success. It’s also been the springboard that other high-profile entrepreneurs (like Ben Cohen - Co-founder of Ben and Jerry’s Ice Cream and Gary Kurtz - Producer/film maker of Star Wars) have used to catapult their way to riches and to making a profound difference on the planet. You can see a full list of notable Graduates below. 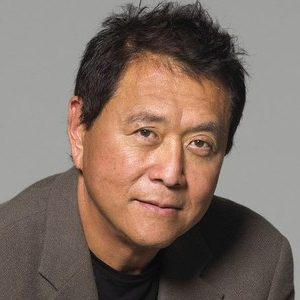 Robert Kiyosaki went through the program when he was bankrupt. He became a partner in the company that ran this event for 9-years, during that time he launched his multi-million dollar book franchise – ‘Rich Dad, Poor Dad’. He’s now worth $80 million and has some 5,000 investment properties. Ruben Freid and Morry Fraid (Founders of the famous fabric retailer, Spotlight), attended this event when the business was generating several million but nothing like the retail behemoth it is now - it had an incredible impact on the business and it’s employee culture. Now having grown to 150 stores around the world, including it’s Anaconda brand, some 7,000 staff and annual revenues of close to $1 billion, Morry Fraid and his nephew Zac are listed on the BRW Top 200 Rich List at $1.22Bn in wealth. Andrew Barron was making $200 per week when he first attended the seminar. Within 8-months he was a millionaire. Within 3-years he’d scaled his timber business to $30 million. Since then he exited to spend more time on passion projects. He then started another business and as you read this, that business is targeting approximately $50M in revenues per year with a team of 50, this year alone. Dominique Lyone graduated from this program in 1992. In his words: "I was effectively going broke but struggling to see a way through it ... Since the moment I walked out those doors on that Sunday night some 27 years ago, I turned the business around. Each year I have delivered a better result than previous… We’re now doing approximately $200 million with 500 employees… and growing." What’s The Difference That Makes a Difference For The World’s Elite Money Masters? Let’s face it. We all have 24-hours in a day. What’s the difference that makes the difference? It’s definitely not tactics, Facebook marketing or any other flash-in-the-pan business “hack” gurus are selling today. … In 10 years it will be 1024 times more powerful… and in just 30 years, technology will have advanced to over ONE BILLION times our current level. The tools, processes and structures you rely on to run your business and make money today are going to be wildly-obsolete in the next 5, 10 or 30 years. No one on earth can keep up with the change, and mastering the tools and tactics of 2019 won’t buy you wealth in the future. So how do the world’s wealthiest business moguls – often with very limited technological prowess - seem to weather these changes decade after decade, and always come out on top? Real Success, Real Wealth, Real Prosperity… Is 90% Reliant On Proven Unchangeable Generalised Principles. They’re as reliable and repeatable as the laws of Gravity, Relativity and Newton’s Third Law of Motion. And they will transform the way you view the world, do business and make money for as long as you live. These principles are what make this secret event so powerful. Money & You ® is the one of the most brilliant trainings on the planet. I took it, learned it and earned vastly more because of it. You can do the same – or more! Before I attended Money & You ®, I was scraping by with only $200 dollars a week. And within two years, I had achieved more financially than I had thought possible. I became a millionaire within those two years, earning between $ 50,000 and $ 100,000 per month. I see this course as a must for anyone – whether they want to be a millionaire entrepreneur or just become financially comfortable. Remember, these Generalised Principles are not personal to you. They apply to all of us. They are working for you - or NOT - whether you are aware of them impacting you right now, just like gravity. However, once you’ve discovered them, you can have them work for you to massive effect just like the others listed on these pages. C/O Author of Chicken Soup for the Soul shares how Money & You ® helped his success. C/O Author of Chicken Soup for the Soul, a Money & You ® graduate, shares why you will love Money & You ®. shares how Money & You ® helped her and her husband with their success. The principles are based on extensive research and the workings of some of the greatest masters, thinkers and futurists humanity has ever known, like Dr R. Buckminster Fuller, W. Edwards Demming, Georgi Lozanov, Ilya Prigogine, a Nobel Laureate and many other pioneers whose studies on the workings of the universe and what makes some people more financially, mentally, emotionally and physically more successful than others are reknown … and remain incredibly relevant in today’s fast paced, ever-changing world. These principles are not delivered to you in a talk-fest, it’s not a theoretical discussion that sees you in a bad chair and a grey room for days! What you get from this event is delivered through accelerated and experiential learning. As a result, not only do you "get it" quickly, actively and in a fun, fast paced way - once you learn these principles through this methodology, you literally can’t unlearn them. They "get in" so you can access and call on these strategies ANY TIME you need them in your role at work, in your relationships, business ventures and of course, finances. The Generalised Principles or money making laws that are taught through this event aren’t just guesswork. They are the result of 41 years of following, studying, analysing, testing and boiling down the timeless principles that are the difference that makes the difference for the world’s most successful companies, individuals, entrepreneurs and wealth creators of all time. Instead of having to discover each of these principles yourself through trial and error, you can now adopt them into your mindset in just 3.5 days. But, you won’t just learn these principles on an intellectual level. The layout of this event includes a range of experiential games, that are carefully designed to sneak around your intellectual defenses and show you the power of these irrefutable laws in ways you can see, feel, taste and smell. Once you learn these wealth laws in this way, it’s impossible to unlearn them. You’ll literally have a lifetime of wealth-knowledge hard-coded into your psyche, and will walk away with the unconscious competence to build successful businesses and amass huge wealth. So, what is this mystery event? The Money & You ® Program Gives You Access to Proven & Timeless Entrepreneurial and Wealth-Building Laws & Takes You Deep Within Your Subconscious So You Trigger More Wealth Creation Breakthroughs In 3.5 Days Than Most People Experience In A Lifetime. It sees you remove your blocks to experiencing true wealth - financially (in your bank account and holdings), in career or business, in your relationships, your consciousness, heart, how you give back to the world, and even, how you see yourself and others. Next level results. No matter what you want or where you are starting from financially, in your career or business, participating in Money & You ® gives you access to next level results, whatever that next level is for you. Breakthroughs on breakthroughs, unique insights, 100% your own. Every person’s Money & You ® is different because our views, how we see wealth and life are different. No two people have the same experience - so you will discover your own breakthroughs, learnings, sometimes incredibly surprising insights and, your unique path to YOUR PERSONAL next level results, FAST. FREE lifetime access to all Money & You ® events anywhere in the world - so you can network with key-players in any market and keep your wealth-building-teeth sharpened. A 41-year track record with over 145,000 Graduates including the world’s who’s who so you’ll be in great company! Plus - see Survey results below. The Survey Said … 100% Endorsement. And in a long lasting way too ... 85% saying "what I discovered at Money & You ® is part of how I do business day to day" and a further 86% saying it is "part of how I operate in my relationships day to day". Powerful right? 82.93% say they got completely new perspectives! And 100% - 100% - said they would refer and endorse Money & You ® to others. Unheard of. It is THE best program on the planet!" Lastly, 9.1 out of 10 rated Money & You ® as Awe Inspiring. If This Event Is So Phenomenal, Why Is It A ‘Secret’? The truth is, if you were around in the 1980s and 90s, or have spent any extended period of time in Asia or the USA - it’s no secret at all. It has over 145,000 successful Graduates worldwide from approximately 85 countries. The reason most people have never heard of this event in Australia is because the focus for growth of the program shifted to the Asian market from 1994 onward. The CEO & Owner of Money & You, Dame Doria (DC) Cordova saw the opportunity in the Asian market, particularly in Malaysia, Singapore and China, and put key resources into growing that arm of the business - you'll learn the principle behind this strategic move at the program. Now it's the only personal and entrepreneurial development program endorsed by the Chinese Government. More than 500 Money & You ® Programs have been held in China now. Money & You ® is delivered in Malaysia, Singapore, Phillipines, Japan, India, USA, Mexico and of course, Australia & New Zealand. While the program has been operated here over the last many years, it has been on a growth trajectory, consistently operating again in the Australia and New Zealand markets since late 2015 by transformational education group, 90Degrees Global. But – it’s recently made a comeback. and you can apply to be part of it right here on this website. Unlike other events, seminars and workshops, Money & You ® is not a “first in, best dressed” sort of deal (although spaces will fill up). It’s not a frantic money-grab either, where we accept anyone, cram thousands of people into a small amphitheatre and then assault you with upsells and pitches. And it's far more interactive activities than ‘sit and listen’ presentations. For this reason – we need to be very selective about who we allow in. We’re only looking for people who’ll actually absorb and apply the principles to achieve meaningful success. So, to weed out the pretenders and time wasters, we have a few strict (but reasonable) eligibility requirements. You must be open to learning about yourself on a deep level. If the idea of soul-searching leaves you cold, this is not for you. You must have a genuine aim to contribute to the world in meaningful ways. This is not a "get-rich-and-lie-on-the-beach-sipping-Martinis-for-30-years" type program. We’re not against building lives of freedom and enjoying luxuries, but if that’s your only aim - this is not for you. You must be aware this isn’t a $50 pitch fest event. This is a world-class, full paid training. It’s not cheap, but the value you receive will cover your admission fee many times over (usually within a couple of months). Ok. That’s it. They’re the criteria. You won’t find a “buy now” button on this page. Instead, we ask that you enter your basic details on the form below (nothing obtrusive - just name, email, phone), and tell us a bit about why you think these events will transform your business and financial life. We will review your application and if we believe you will benefit, we’ll give you a call to talk you through the ins and outs of the program to make sure you believe it will as well. Pre-bookings have been taken and are well on track to see these events fill up quickly from here. We know that fast action takers get the most from these events, so to reward them, we have two tiers of early-bird discounts. You’ve probably heard a lot of big claims before. It seems like every guru has an event these days that promises to transform your life. If you are accepted into the Money & You ® Program, participate in all of the sessions during the program and ultimately, feel like you have not gained significant value by close of play Sunday evening, we'll refund 100% of your money without question. Just come and see us at the back of the room on the final night, hand back your event material, tell us you didn’t get value and we’ll refund your money. With a guarantee like this and so many high-profile success stories, if you're truly committed to a shift in your life, business and finances, there's really no reason not to apply right now. Will Bring You Huge Wealth Breakthroughs? … Anyway this time I’m venturing back under the ‘spotlight’ because I have something important to share. I also graduated from this program back when I was just 23. And from that moment right up until today, the principles I learned have shaped my life on a fundamental level. When I look back, it’s had a positive effect in EVERY AREA from business, to relationships, to home, career, finances, even my ‘give back’ and more. Within 6-months of graduating this incredible 3.5 day program, I’d launched my very first successful company, all with just $1,100 to my name and no credit. I grew that business to over 7-figures in just under 4 years (including 6-months off travelling the world), before selling it for a nice profit. I believe what people discover at Money & You ® is just so important, that together with my husband (fellow entrepreneur and Money & You ® Grad), Craig Doyle - we’ve made it our mission to bring this event back to Australia consistently - and get it into the hands of like-minded, determined people like you. People who are striving for that next level of success in life whether you own your own business or find yourself on the career track … whether you’re as broke as can be as you read this or a squillionaire, whether you’re in start-up mode or long established - it doesn’t matter. If you are someone who wants breakthrough results, this is a real opportunity for you, just as it has been for tens of thousands before you. We offer you lifetime access to observe ANY other Money & You ® event, anywhere in the world … entirely for FREE. Whether you want to review the material or just network with a new cohort of high-performing money-masters and entrepreneurs – just give us a call and you can sit at the back of the room for the entire 3.5 days (or pick and choose which days to attend - it’s up to you) - at ANY Money & You ® ANYWHERE in the world from the USA, to Malaysia, Singapore, Japan, Australia, New Zealand, China, India - wherever, on us. You'll see some truly high profile names here, all happy to publicly share that they've completed Money & You ® and right beside them are tens of thousands of everyday people like you and me who have benefited massively as well! If you want to hit that next level in breakthrough and results, apply now as all of these people have done before you. Author, Who Moved My Cheese? Artist, Consultant, Founder: The Fuller Edutainment Co. Founder & President, Compassion Happens Inc. Regional Director, Web Forge Pty Ltd. Managing Director, Mondial Jewellers Pte. Ltd.
Creative Director, DMB&BT Tokyu Pte. Ltd. Managing Director, Business Trends Pte. Ltd. Managing Director, Sara Beattie Ltd.
Senior Researcher, World Bank/Natsource Japan Co. Ltd. Entertainer, TV Producer and documentary maker, Co-Founder Appin Hall Children’s Foundation. Myles Pearce & Co Real Estate, Finalist Australian Entrepreneur of the Year, Management Consultant, Property Developer. Producer, Screen Writer, Actor, Australia and Internationally, Co-Founder The Reach Foundation. Ardoch Foundation, Order of Australia Medal Winner. Founder, Shannon’s Classic Cars & Car Ins. Founder/CEO Image Group International, Winner of the International Image-Maker of the Year Award (USA), 1999 Australian Achievers Award/Winner of the 2001-2002 Hong Kong Bank International Business Award. Best Selling Author. Managing Director, Tymson Communications, Former Lady Mayoress Sydney. Managing Director New Earth Tourism, Former Managing Director of Tourism Australia. Independent Sales and Marketing Consultant, former Money & You® Presenter. Director, Tall Poppies & Co. Managing Director, International Advisory Serv. The legendary and transformational Money & You Program is part of the Excellerated Curriculum which includes Powerful Presentations & You https://powerfulpresentationsandyou.com/. Creating Wealth & You (for Money & You Graduates only) http://creatingwealthandyou.com/, and the Global Excellerated Business School for Entrepreneurs https://www.globalexcelleratedbusinessschool.com - all offered in Australia and New Zealand by 90Degrees Global. We look forward to seeing you find out more and benefit just as soon as possible.